By the spring of 1896, there was a tremendous amount of activity preparing a small outpost to become what Julia Tuttle hoped to be “one of the largest, if not the largest, cities in all the southland”. Julia Tuttle had always been a dreamer and by 1896, her vision of a city on the banks of the Miami River were becoming a reality. Following an enticement by Tuttle during the great freezes of 1894 and 1895, Henry Flagler decided to extend his FEC Railway to where Biscayne Bay met the mouth of the Miami River. In exchange for tracts of land provided by Tuttle and the Brickells, Flagler agreed to “build a luxury hotel and lay out the town around it”. The wording of a “town” would later be debated as the appropriate designation of the municipality being built along the Miami River. At the time Flagler agreed to extend his railroad and build a city, Julia Tuttle had owned much of the north side of the Miami River. As outlined in ‘Miami, The Magic City’ authored by Arva Moore Parks on page 82, Julia Tuttle gave Flagler half her land, which amounted to 300 acres on the north side of the Miami River. It included 100 acres on the bay and river fronts, with the exception of her 13-acre home and some other acreage in what would become the business district. She cleverly gave Flagler alternate lots to ensure the development of the business district, but kept lots for her own purpose. The contract signed by Tuttle and Flagler specifically stated that the luxury hotel not block her view of the bay. Tuttle’s homestead is now the location of the Miami Convention Center and the downtown Hyatt. The land between the hotel and north bank of the river became a beautifully landscaped garden designed by Henry Coppinger Senior. The location of Miami’s original luxury hotel, The Royal Palm Hotel, will soon be the Met 3 complex being built in downtown Miami. The location of the gardens evolved into a combination of Biscayne Bay Boulevard and the Epic Hotel. Recently, one and a quarter acres of the land that the Royal Palm Hotel gardens once occupied was recently purchased for a modest sum of $125 million. This land is adjacent to the north bank of the Miami River and just east of the Epic Hotel. The same land could have been gotten for $1.25 per acre roughly 125 years earlier. Flagler signed a separate contract with the Brickells who added parcels of land on the south side of the Miami River and land in Fort Lauderdale. Like Julia Tuttle, the Brickells reserved their homestead and land for themselves. Flagler agreed to build a bridge over the Miami River and plot alternating lots on the land that was granted. Later, the Brickells felt betrayed by Flagler due to his delays in meeting his obligations on the south side of the river. In particular, at one point, William Brickell was so upset with the progress of south side development that he refused to travel north of the Miami River as a form of protest. The months of April and May in 1896 marked significant turning points for the rapidly developing municipality needing a designation. The first train arrived into the area on April 13th. By April 21st, there was regular train service to the area and on May 2nd, the Bank of Bay Biscayne officially opened. The first newspaper, the Metropolis, issued its first edition on May 15th, under the editorship of Walter S. Graham. The Royal Palm Hotel had already broken ground and was developing rapidly. An early role of the Metropolis was to report on the lack of structure in this developing community. One early Metropolis issue complained of the bridge over the Miami River not being completed. This represented a real inconvenience for those who lived on the north side of the river. The post office was located at the Brickell’s General Store, on the south side of the river. Those living on the north side had to pay a ferry just to retrieve their mail. 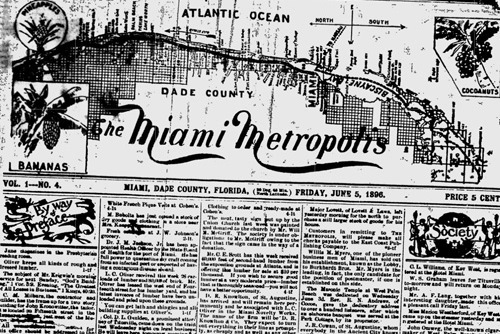 One of the earliest issues of the Miami Metropolis in 1896. It was the Metropolis that called for the incorporation of Miami before August 1st, 1896. Walter Graham very aptly continued to point out that this growing community needed immediate organization to deal with the infrastructure issues of the day. The newspaper argued that incorporation was necessary to deal with the problematic sanitary situation. As the population grew in 1896, so did the sanitary issues of the growing community. It was clear to those with proper sensibilities that it was time to provide formality to what was being built along the mouth of the Miami River. Prior to a community wide vote, the incorporation process called for an informal meeting to discuss the particulars of incorporation. This meeting was held on June 17th in 1896 and was chaired by Fredrick S. Morse. The meeting was attended by 100 people, 40 of which were registered voters. In the state of Florida at this time, at least 25 registered voters were necessary to form a town and at least 300 voters were needed to incorporate as a city. The process also called for 25 voters to propose boundaries for the municipality and publish notice to all eligible voters. Original Miami City Limits ~ Roughly. During the course of the meeting on June 17th, the group of 25 registered voters officially declared a desire to incorporate as a city, outlined the proposed boundaries and determined the date and time of the actual vote to incorporate. The proposed boundaries were, using today’s street numbering system, as follows: On the North, a point just above Eleventh Street. On the west, NW Seventh Avenue (North of the Miami River), and NW and SW Eighth Avenue (South of the Miami River). On the South, beginning at the intersection of SW Eighth Avenue and SW Eleventh Street, going east along Eleventh Street to the intersection of Fifteenth Road and following that road southeast to a point in the middle of Biscayne Bay. The eastern boundary was Biscayne Bay. Finally, the date of the next meeting was set for July 28th, 1896. The location of the vote would take place on the second floor of The Lobby Pool Hall. The legal notice of the meeting appeared in the Metropolis each week for five weeks. The incorporation meeting took place at 2pm on the 28th day of July in 1896. The vote was restricted to only men. Women were not given the right to vote until the passage of the 19th Amendment in 1919. The ability to register to vote was given to anyone who had lived in Dade County for at least six months prior to the vote. Joseph A McDonald, Flagler’s chief of construction on the Royal Palm Hotel, was elected chairman of the meeting. 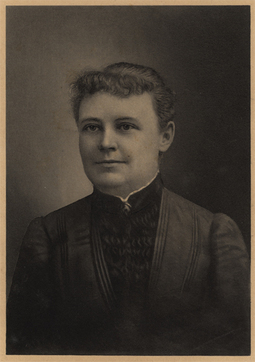 HJ Burkhardt was elected secretary. The secretary called the roll to verify that at least two thirds of the registered voters were present as Florida law required. There were 312 in attendance at the start of the meeting and at least 32 voters were fashionably late. This is known because the total number of votes tallied to 344. The composition of voters included 243 Caucasians and 181 Blacks. After ensuring there were the proper number of voters, the next order of business was to decide on a city name. Among others, a couple of the names under consideration were “Biscayne” and “Flagler”. 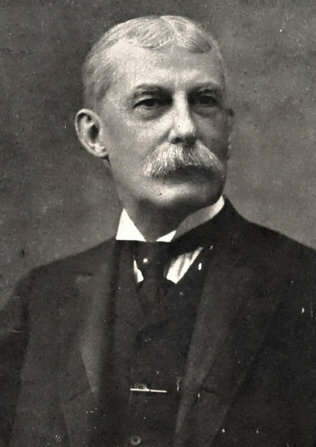 Henry Flagler was adamant that the newly formed city didn’t take his name. Upon consideration and debate, the voters decided on naming the municipality “The City of Miami”, based on the name of the river that runs through the middle of the newly formed city. The voters ratified the boundaries of the city and elected officers. This was done by ballot, and after the ballots were cast, the voters went to dinner and reassembled at 10pm that evening. The head of Flagler’s Fort Dallas Land Company, John B Reilly, was elected Miami’s first mayor. In addition, the following were elected as Miami’s first aldermen: Joseph A. McDonald, Walter S. Graham, William M. Brown, Frederick S Morse, Edward L Brady, Daniel Cosgrove and Frank T Budge. JM Graham was elected City Clerk and Young F Gray was chosen as marshal. All of the first officers were aligned tightly with Henry Flagler’s interest. In addition, many were prominent businessmen in early Miami. For example, Brady operated Miami’s first grocery store and Budge operated Miami’s first hardware store. One noted elected official didn’t last long in his role. Young Gray was dismissed as Miami’s first lawman for unspecified reasons on May 28th, 1899. Gray had a penchant for drinking on the job, but no official reason was given for his dismissal. The last order of business was the passage, by unanimous vote, of a resolution urging the Postmaster General to direct the Postmaster of Miami, Alice Brickell, “to immediately move the post office to a convenient location on the north side of the Miami River”. This marked the end of the post office residing at the Brickell’s General Store. The meeting concluded with County Solicitor James B Sanders of West Palm Beach “calling three cheers for Miami and the new officers”. A handful of the newly elected officers gave brief speeches and then the meeting was adjourned. After the meeting, the results were telegraphed to JR Parrott and JE Ingraham, who were spending the night in West Palm Beach before leaving for the new City of Miami. Early the next morning, Joseph McDonald wired the results of the voting to Flagler, who resided in New York during this process. Later that day, Henry Flagler, who had been called “Miami’s Benevolent Dictator”, replied to McDonald’s message offering congratulations on the election. None of the results of the election were a surprise to Flagler, as he employed the great majority of the electors. The majority of the Flagler men voted their conscience and selected the officers who Flagler would have wanted. Prior to the announcement of the extending of the FEC Railroad to what would become the City of Miami, there were roughly 25 – 30 people living in the area. The entire area was hammock and pine trees. It was a lush wooded area that many current Miamians would not believe. According to the 2010 census, Miami has evolved to having over 400,000 people living in today’s city limits. Miami-Dade County is now the seventh most populous county in the United States, with over 2.5 million living within the county. The hammock and pine trees have been replaced with skyscrapers and construction cranes, but the spirit of Julia Tuttle’s vision for a world class southern city has been exceeded. By July 2014, it is clear that it will not take another 118 years to witness rapid progress in Miami. The Miami of tomorrow is progressing all around us. 6 Comments on "Birth of The Magic City – Miami"
It is worth pointing out that Julia Tuttle, who spearheaded the establishment of the City of Miami, and who owned the land on which it was founded (before she deeded every other lot to Henry Flagler), was not on the voter rolls, and thus not allowed to participate in the vote. Still, Miami is the only city we know of that was founded by a woman. Excellent point, Linda. 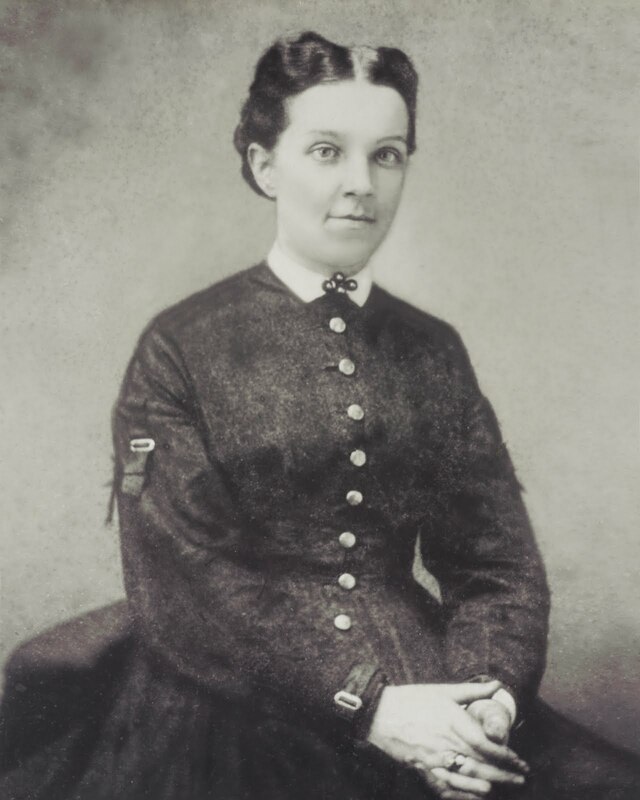 To extend your point about Miami being the only city founded by a woman, many would argue that the role that Mary Brickell played in the founding of Miami was just as important. The Brickells granted a considerable amount of land for the FEC Railroad extension and also provided plots of land on the south side of the river. It is very likely that Mary Brickell was the one that determined and negotiated the grant of land that was part of the Brickell / Flagler contract. Therefore, Miami may be the only city we know that was founded by 2 women. It’s a shame more recognition of Julia Tuttle is not given in Miami today. I wish there was a street downtown named after her. Perhaps N.E. 2nd Avenue which meets Brickell Avenue on the south and the Tuttle Causeway on the north. It would also go by City Cemetery where she is buried. 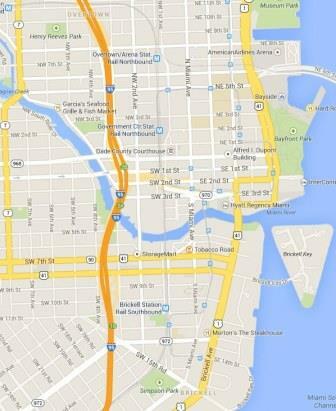 We have a Brickell Avenue and a Flagler Street why not a Tuttle Street? Excellent historical synthesis! Great work on this site! She does have a causeway named after her. And causeways are more unique than a street. About Julia Tuttle’s importance to the history of early Miami, had she not died 2 years after incorporation we all can believe she would have left a much bigger mark on how the city evolved, just like Mary Brickell left hers.